Don't you know we're loco? Our Mini Loco bushings are made from the best bronze we could find for the application, C94300. 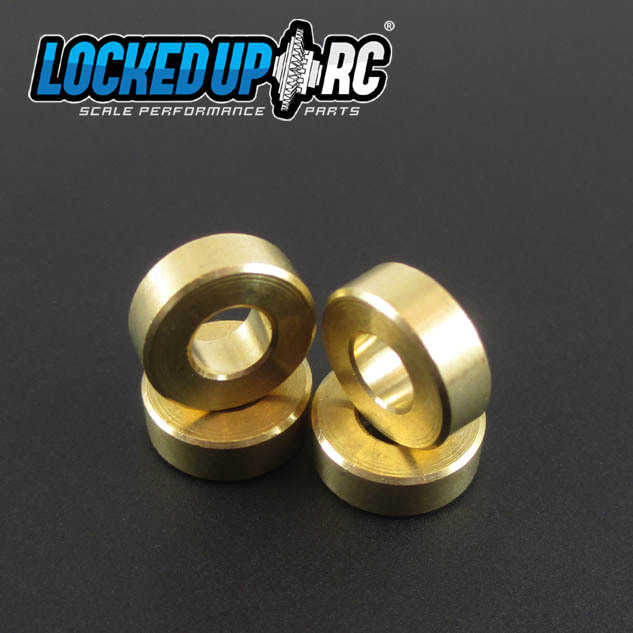 This allows us to offer a best of breed bushing and a reasonable alternative for those of you blowing out bearings under the insane rigors of RC crawling and bashing. C94300 High Leaded Tin Bronze is known for for superior lubricity. This high-leaded tin bronze embeds dirt particles very well and conforms easily to irregularities in shaft surfaces which permits use with unhardened shafts. C94300 operates best at moderate loads and high speeds, especially where lubrication may be unreliable. It conforms well and is very tolerant of dirty operating conditions, properties which have found it extensive use in off highway, earth moving, heavy industrial equipment and railroad applications ... hence the name. If you like to yell "Pro 4!" and are constantly thrashing standard pinion bearings.... Mini Loco is for you!